Preservation Long Island’s Endangered Historic Places Program (EHPP) offers Long Islanders an opportunity to advocate for preservation priorities in their communities while learning how to use tools like landmark designation, tax incentives, and public outreach. EHPP listing partners receive technical assistance and advocacy support as they work to preserve at-risk historic places threatened by a variety of adverse conditions, from outright demolition to the lack of sustainable long-term stewardship plans. EHPP listings are featured on Preservation Long Island’s website and social media. Listed sites may serve as locations for Preservation in Progress Tour series, which highlights ongoing preservation projects at historic places throughout the region. Listing partners are also supported by developing informational materials such as leaflets or brochures outlining the history of a site and its preservation needs. EHPP nominations are open to the public. Listings are selected by a panel of Preservation Long Island staff, experts in architecture, historic preservation, and other related fields, as well as members of Preservation Long Island’s Board of Trustees. Significance: A nominated site must be historically, culturally, or architecturally significant and may encompass individual buildings, landscapes, structures, or any grouping thereof. However, the nominated site need not be listed on the National/State Registers of Historic Places or designated as a local landmark. Threat: The existence and/or integrity of the nominated site must be seriously threatened. In addition to planned demolition, threats can include a pattern of neglect or exposure that will inevitably lead to loss; the planned introduction of harmful factors or insensitive redevelopment that will substantially diminish the context or setting; or inappropriate maintenance/alterations resulting in the loss of material integrity. Impact: EHPP listing will have a positive impact on efforts to protect the nominated site. Nomination materials should be submitted online via Preserve Long Island’s website or emailed to skautz@preservationlongisland.org. Nominations submitted after Friday, November 30, 2018, will not be accepted. To inquire about the program or nomination process, contact Preservation Director, Sarah Kautz, at (631) 492-4664 x105 or skautz@preservationlongisland.org. 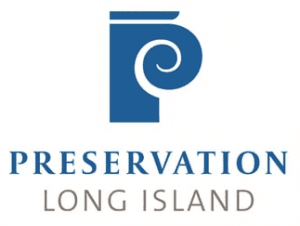 Preservation Long Island is a not-for-profit organization that works with Long Islanders to raise awareness, appreciation, and support for the protection of our shared past through advocacy, education, and the stewardship of historic sites and collections.